Sr. Financial Compliance Manager, Associations of Universities for Research in Astronomy, Inc.
Jose L. Martens, CPA joined the Associations of Universities for Research in Astronomy, Inc. (AURA) as the Senior Financial Compliance Manager in May 2016. He has over 10 years of public accounting experience including in one of the top-ten firms in the U.S. He has diverse experience in non-for-profit, employee benefit plans, state and local government, and compliance auditing. He is a former President of the Association of Government Accountants, Southern Arizona Chapter and served as a Board Member for over 5 years. 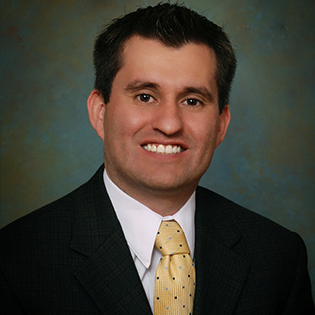 He currently serves on finance and budget committees within the Southern Arizona Community. Martens graduated from Northern Arizona University with a Bachelor of Science in Accountancy and a Bachelor of Science in Business Administration – Computer Information Systems. He lives in Tucson, Arizona with his wife and daughter.